Home How did Buddharakkitha acquire the .45 Revolver? How did Buddharakkitha acquire the .45 Revolver? Only after arriving at the BMICH to attend a function, that the writer realized he was an hour ahead of the scheduled start. Time was 8.30 in the morning; converting a lapse into an opportunity, he walked up to the Bandaranaike Museum located at the left side entrance to the lobby. Of all the objects displayed for public viewing within the museum—which included valuable documents, objects of artistic, political cultural, scientific and judicial importance, the .45 Revolver drew his utmost attention and curiosity. Somarama used it in firing those fatal bullets that pierced the chest and abdomen of a Prime Minister on the morning of September 25, 1959, at his private residence ‘Tintagel’, 65, Rosemead Place. How Somarama, a Buddhist monk, acquired this lethal weapon never lingered in my mind, for I very well knew who procured it for Buddarakkitha. The perpetrator casually narrated the saga to me 30 years ago. I was careful not to embarrass him by being inquisitive. However, curiosity prompted me at the end of the short function at the BMICH for details and made a beeline to the National Archives. The trial, as reported in the 1960/61 newspapers, reveals the truth. A young man, a native of Kelaniya joined the Police Force in the early 1940s as a Constable. Promoted to the rank of Sub Inspector in 1952, the cop was stationed in the Pettah. There he met with one businessman called Dharmadasa who owned a Hotel in Peliyagoda. Promoted Inspector of Police, he assumed courts duties at Maradana Police station, where he was provided with a family unit at the flats. The efficient officer with a clean record was transferred to Colpetty in September 1959, where he met one MS Corea attached to a sterling company in the course of an investigation into the case of burglary at this business house. Corea had a son by the name Ossie, who was a notorious underworld figure. Our young man, Inspector Newton Perera, was arrested on October 21, 1959, on suspicion for his role in supplying the revolver to Buddharakkitha, the Chief Incumbent of the Kelaniya Raja Maha Vihara, where the sacred pagoda is located. Newton, who became the third generation patron of Kelaniya Vihara, knew Buddharakkitha from his Samanera days. While serving at Maradana, he once participated in organising the famous Duruthu Perahera, where he met the first woman minister Wimala Wijewardedne (Health Minister). Her husband’s family had strong links with the Kelaniya Temple. Wijewardene family philanthropists were responsible for the restoration of the Temple to its pristine glory following Portuguese destruction and centuries of negligence by the state and the patrons. The high priest appealed for fund collection for Perahera, to which the policeman obliged by collecting contributions from friends. In 1959 Newton received a handsome donation from the businessman Dharmadasa, helping him to collect Rs 20,000. Actively interested in the temple work, Newton visited the residence of Wimala on several occasions where he met Buddharakkitha and Jayawardene as well. On one such occasion, Buddarakkitha noticed his sidearm, a .45 revolver and through curiosity wanted to examine it, and commented: “This is too large to be carried about; mine is a smaller one,” said the monk to a surprised young IP. In July 1959 Buddharakkitha and Jayawardene met Newton at his flat and asked him if he could find a pistol for them, for he needs one for own security; and suggested that he contact Ossie Corea who would be able to help him. Ossie wanted time to procure a weapon and after a few days at his request Ossie dropped in at his Police flats and handed over a .45 revolver, which in turn was passed on to the high priest at Kelaniya temple. Newton identified the item produced in court marked P1 as one similar to the revolver he handed. A few days later, Buddharakkitha wanted a few more ammunition collected in addition to the two rounds already given, which request he obliged with the help of a subordinate officer named MD Perera at the Police Training School. The ammunition was delivered by Newton to Buddarakkitha at Wimala’s residence where the monk frequented as if it was his temple chambers. Newton, answering the court, stated that the monk freely moved around and sat without the traditional white cloth covering the chairs. A month later, in mid-August, Jayawardene called him and wanted him to meet Buddarakkitha at Amarasinghe’s place in Baseline Road. When he arrived there, Buddarakkitha was in the company of Jayawardene and another monk. Buddarakkitha complained about the quality of ammunition and wanted better ones, to which Newton replied that for training purposes the school uses cheap varieties and that it is not easy to find top quality ones. Buddharakkitha refused to accept the explanation; a prolonged discussion followed. Then it was decided to approach Nawaloka as mentioned by Buddharakkitha himself; using Amarasinghe’s car Newton visited Nawaloka who agreed to help but after an extensive search they drew a blank. Then it struck Newton that the best option would be to approach SP in charge of police arms and ammunition B. W. Perera. Obviously, being a junior officer, he could not request it from a superior officer; but he knew that Nawaloka tycoon was a close friend of the SP. At Buddarakkitha’s insistence the Nawaloka tycoon agreed to go to Turret Road residence of B. W. Perera. Newton, who accompanied him to the SP’s residence, remained in the car. The SP obliged with a dozen of good quality ammunition packed in a cigarette tin which was delivered to Buddarakkitha at Wimala’s house by Newton Perera the same evening. In the meantime, Newton Perera obtained several favours such as transfers in the police department and health sector through the influence of Wimala Wijewardene and Buddarakkitha. The ‘task’ did not end there. The very next day, August 15, Jayawardene visited Newton’s flat with an urgent message from the monk—Buddarakkitha was seeking his help to sort out some difficulties in firing with the weapon, and wanted Newton to meet him. He set out with the messenger, who stopped the vehicle at a spot in Borella and picked the monk who was at Jayawardene’s on Newton’s previous visit. At the temple, Buddarakkitha pretended that he was not happy with the revolver, but wanted Newton to try it outside the temple premises suggesting they go to a lonely place in the Muthurajawela. The IP fired a couple of shots into the air in the presence of other three proving the weapon was in perfect order; handing it to Buddarakkitha Newton commenced his walk back to the vehicle only to be disturbed by the report of gunfire; he was surprised by what he saw—the monk who joined them had the revolver in his hand who had fired the shot. It took some time for the cop to learn that the stranger was none other than Somarama the assassin who had a completely different motive from the two other main suspects Buddarakkitha and Jayawardene. In the trial, it was alleged that the whiskey drinking business-magnate and extremely powerful monk of the time Mapitigama Buddharakkitha, the head priest of historical Kelaniya where the Buddha visited once, hated Bandaranaike for not helping him in his business ventures. While Buddharakkitha and Hemachandra Piyasena Jayawardene’s, [co-accused] primary motive for the killing of Bandaranaike was ‘business’, Somarama had other motives. 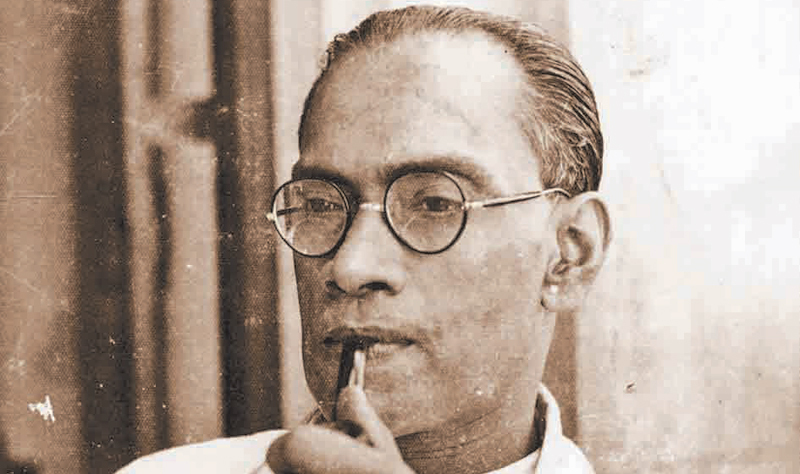 Bandaranaike had signed a pact with the Tamil leader, SJV Chelvanaikam. The Buddhist priests demonstrated against it and demanded abrogation of it—Somarama being a born racist could be the one who would be easily brainwashed. At YMBA Borella in late 1980s, former Director Police training [retd] SSP Ekanayake, who adorned robes as Ven Amathagavesi Thera, famous meditation master, held his regular classes on Saturday afternoons. Venerable Amathagavesi Thera introduced a national dress clad handsome middle-aged gentleman named Weerasuriya to the writer as one of his former Police colleagues. It was Weerasuriya himself [formerly Newton Perera] who subsequently surprised the writer by declaring that he was totally ignorant of the purpose when he handed over the deadly weapon to Buddarakkitha 30 years ago. Thus the most gruesome, horrendous crime, the first political assassination of the newly independent nation, was committed.